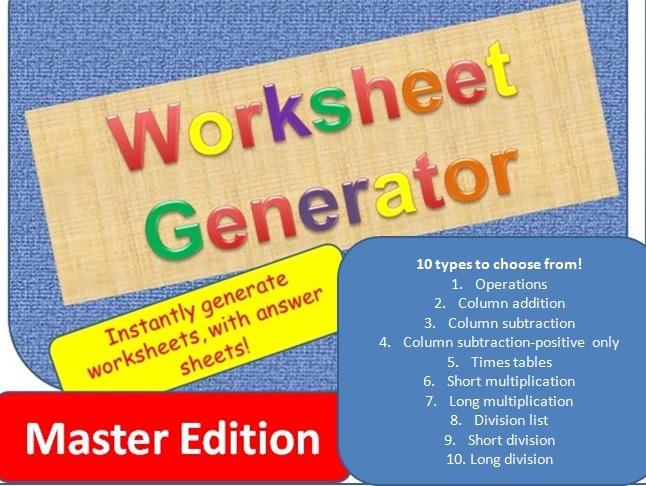 This is an advanced worksheet generator designed to immediately generate an infinite number of printable maths worksheets with answer sheets. 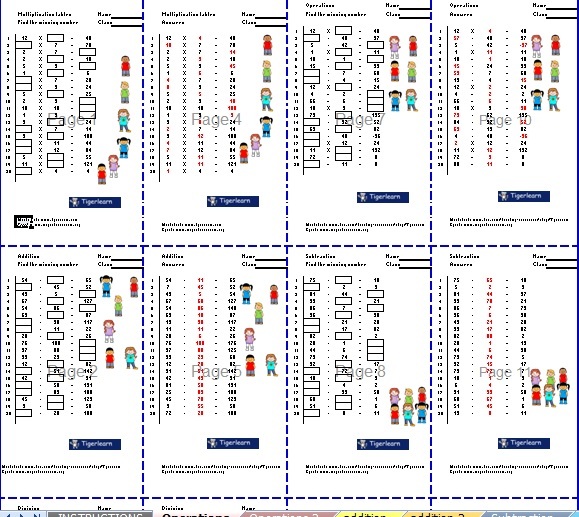 The tool can create worksheets, work books or exam papers instantly to check student ability in arithmetic – Division (short &long), multiplication (short&long), addition and subtraction (single of multiple digits). 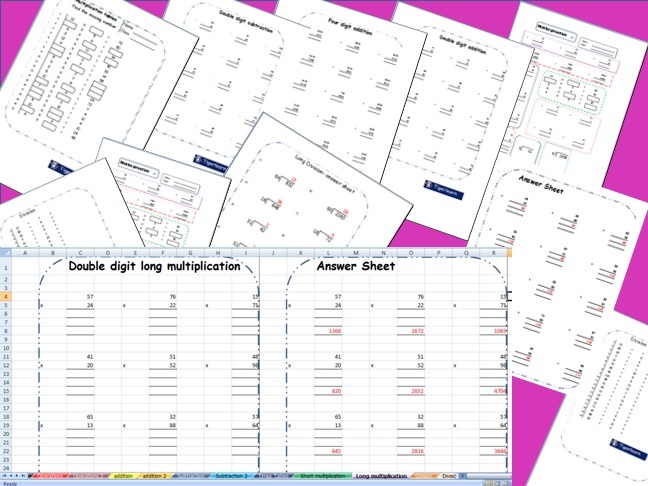 These are simple numerical worksheets and can regenerate with a simple push of the F9 button into worksheets with an infinite number of different questions and numerous designs/layouts. Use it to give your students unlimited practice in their maths.